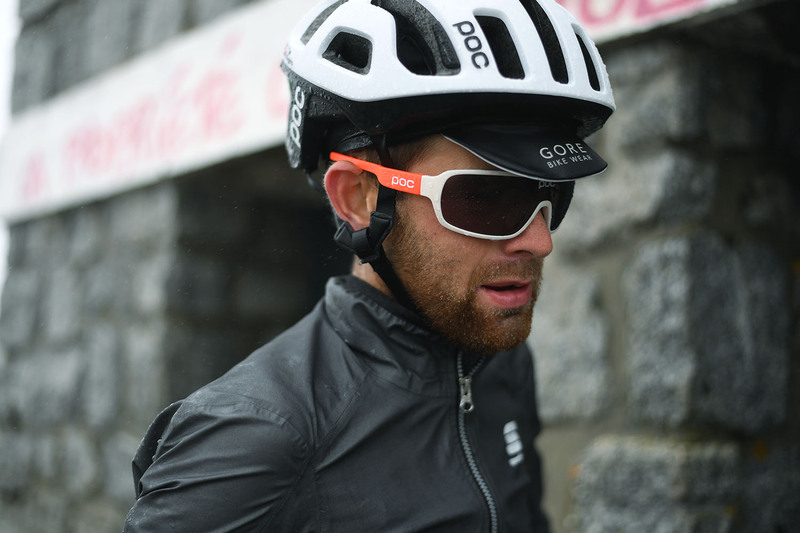 Two problems occur when using a waterproof jacket in challenging conditions, and over an extended period. Firstly, dirt particulates and perspiration salts block up the 'pores' on the waterproof membrane — reducing the breathability. Secondly, the DWR coating layer 'flattens' and eventually begins to wear off. To overcome both problems you need to understand how to wash and how-to re-waterproof a garment. Before washing your garment, zip the front, pockets, and pit zips completely, and fasten all flaps and straps. Machine wash on a warm cycle (30º C) with just the waterproof garment(s) in the machine. Use a small amount of liquid detergent such as Nikwax Tech Wash — do not use powder detergents, fabric softeners or bleach as they damage the fabrics and taped seams. Rinse twice and minimise spinning time to reduce creasing. Over time, the DWR coating on the outside of a jacket wears off, especially in high abrasion areas. This does not mean your jacket is not waterproof any more, it simply means that the water-repellent surface on the outside is no longer causing water to bead up on the surface (the waterproof membrane underneath is still waterproof). 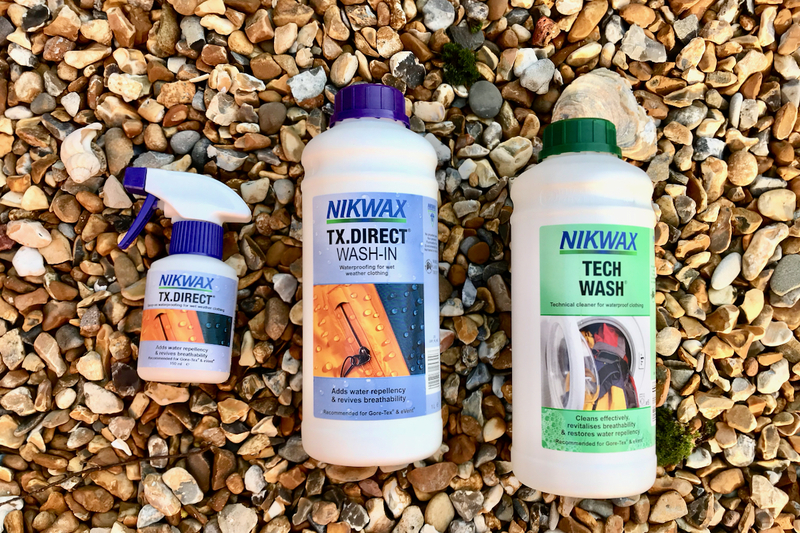 Clean the item first with Nikwax Tech Wash as outlined above (there is no need to dry the garment before re-waterproofing). Place maximum of two clean garments in washing machine. Use 100 millilitres of Nikwax TX Direct Wash per garment. Run machine on a 30°C cycle with a slow spin. Remove and dry as outlined above. To apply with spray on TX Direct: hang the garment in open air and spray the TX Direct onto all exposed outer surfaces, holding the spray can 20 centimetres away from the garment. Then dry as outlined above. With these care instructions you can keep the effectiveness of your waterproof cycling jacket or trousers intact for far longer. Both the breathability and water repellence of a garment are significantly improved with proper care throughout the lifetime of the product. Remember — 'Rejuvenate and Reuse' rather than replace.